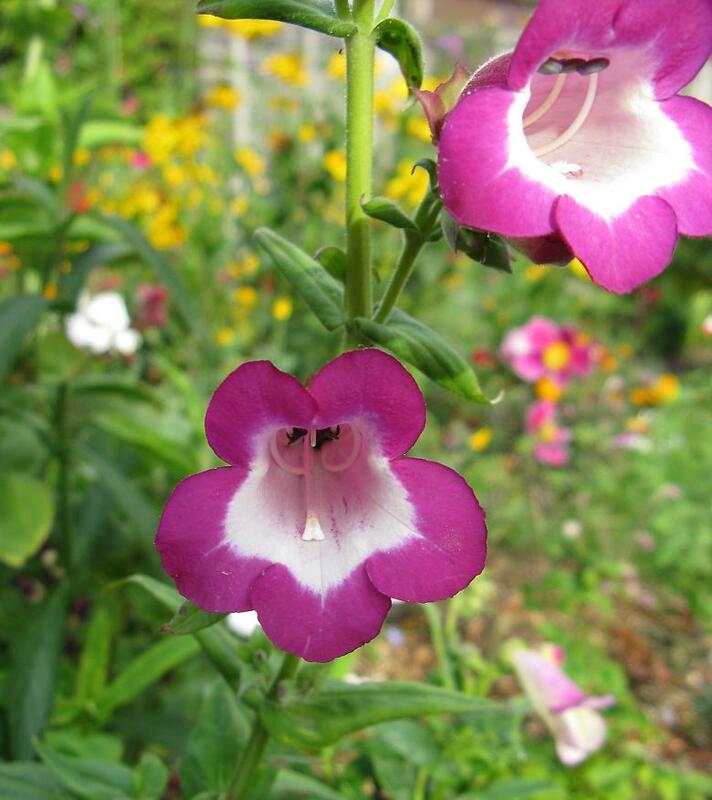 Two of the Penstemon that I grew from seed this year are starting to flower. This is the first and has a couple of fully open flowers. I wasn't sure if they were planted early enough to flower in the first year, so I am glad they have. After all they may not survive the winter; the one I had last year didn't.